Richard Haass, President, Council on Foreign Relations, and Nan Keohane, Laurence S. Rockefeller Distinguished Visiting Professor of Public Affairs and the University Center for Human Values at Princeton University, and former president of Duke University, speak on public policy leadership issues. Moderated by Reynold Levy, president of Lincoln Center. America's Economy: Bullish or Bearish? 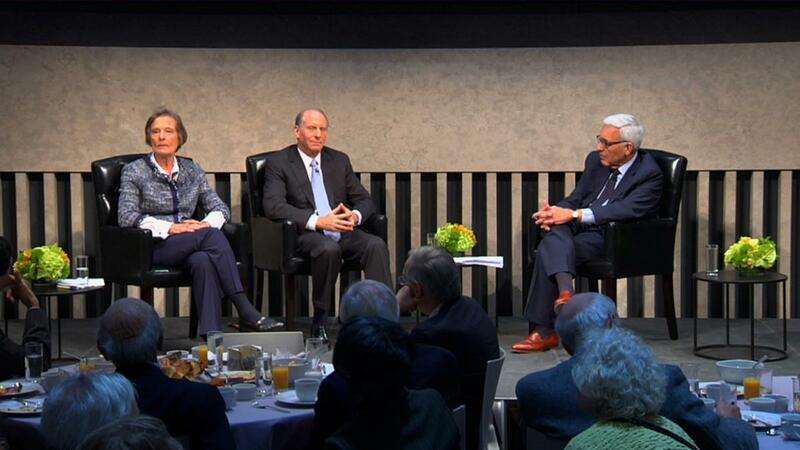 Lincoln Center Dialogue brings together some of the most influential leaders in business for an insightful conversation on the issues facing American society.